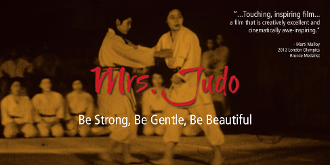 Mrs. Judo: Be Strong, Be Gentle, Be Beautiful documents the life-long journey of Keiko Fukuda’s decision to defy thousands of years of tradition, choose her own path, and become the highest-ranking woman in judo history. broke through a glass ceiling for women when she was awarded the pinnacle of judo, the 10th degree black belt. Fukuda is the first and only woman to hold this honor. Fukuda Sensei passed away on February 9, 2013. She was 99 years old, and had taught judo in San Francisco until just before her death. She was last disciple of judo’s founder, Jigoro Kano.